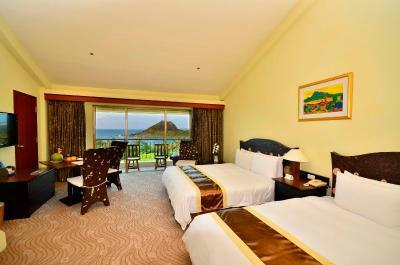 Lock in a great price for Howard Beach Resort Kenting – rated 8.1 by recent guests! The pool, the pool and the pool! Lots to do around the pool for kids. Our little one had a ball, and needed some bargaining to get her out and up to the room. The beach is awesome too, a little walk through an underpass, and boom, beautiful white sand beach, with perfect swimming conditions. Overall, money well spent. We will definitely return! Rooms are spacious for families to really relax in during your stay. The pool area is great. Decorations were good. Facilities for kids were amazing. Recreational facilities were nice. Swimming pool was very good. Big bathroom. Easy access to the beach by tunnel. Huge swimming pool, although water was freezing. Big room, bathroom also huge. Wifi is good. great location, clean, good size room and private beach. Big territory, nice swimming pool, big room, close to beach, room was changed by the first request. 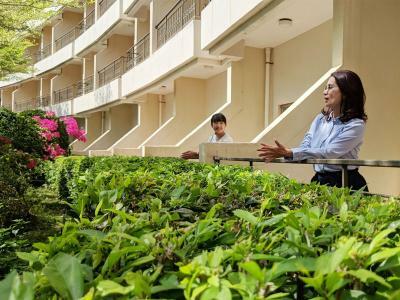 Howard Beach Resort Kenting This rating is a reflection of how the property compares to the industry standard when it comes to price, facilities and services available. It's based on a self-evaluation by the property. Use this rating to help choose your stay! One of our top picks in Kenting.About a 2-minute walk from the beach, Howard Beach Resort Kenting is a hotel located a 15-minute drive from the Kenting Forest Recreation Area. It offers an outdoor pool, 5 dining options and free parking. Air-conditioned guestrooms feature spacious interiors with modern funrihsings. Each room is equipped with a mini-bar, tea/coffee making facilities and a flat-screen TV with cable channels. 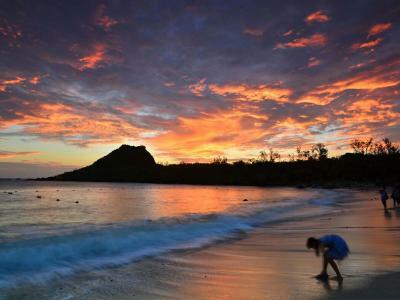 Kenting Howard has a well-equipped fitness center and an outdoor pool with whirlpool. Other recreational facilities include a games room. Free Wi-Fi is provided on site. Champs Elysees offers an outdoor garden barbecue experience, coupled with a live jazz band. 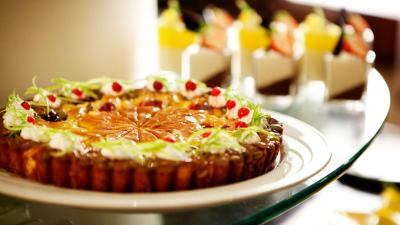 Italian cuisine can be enjoyed at Ocean View restaurant, which features views of the horizon. A Chinese menu can be found at Formosa restaurant. Howard Beach Resort Kenting is a 30-minute drive from Hengchun Old Town. 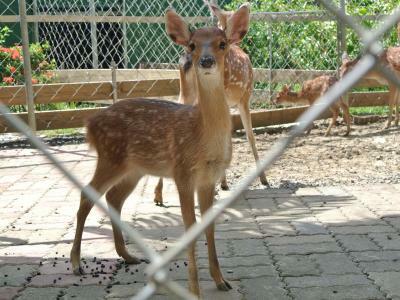 Kaohsiung International Airport is a 2.5-hour drive away. An airport pickup service is available at an extra charge. 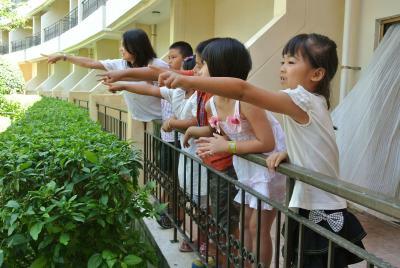 This is our guests' favorite part of Kenting, according to independent reviews. 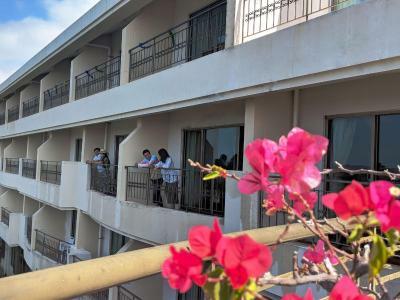 뀐 Located in the top-rated area in Kenting, this property has an excellent location score of 8.6! When would you like to stay at Howard Beach Resort Kenting? Deluxe Twin room comes with 2 double beds, a balcony, garden views, bath and shower facilities. Deluxe Twin room comes with 2 double beds, a balcony, sea views, bath and shower facilities. Executive Twin Room with Mountain View has 2 double beds, a balcony, mountain or garden views, bath and shower facilities. This quadruple room features a balcony, sea views, bath and shower facilities. 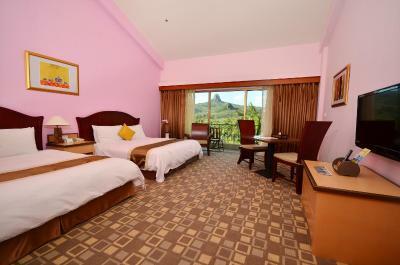 This twin room features a balcony, a living room with sofa, mountain views, bath and shower facilities. 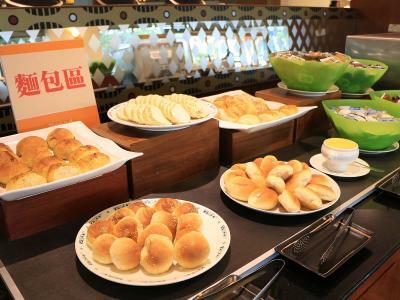 House Rules Howard Beach Resort Kenting takes special requests – add in the next step! One child from 3 to 9 years is charged TWD 440 per person per night when using existing beds. One additional older child or adult is charged TWD 880 per person per night in an extra bed. Howard Beach Resort Kenting accepts these cards and reserves the right to temporarily hold an amount prior to arrival. This property is enrolled in the Government Spring Travel Subsidy Program 2019. A shuttle bus from town to the hotel would be great. It's difficult walking up the hill with a full belly, and shopping bags from the nightmarket. Also, the fact that you have to pay for a sun umbrella and lazy chairs at a 'private beach,' NT$ 900 to be exact. The buffet restaurant was pretty much the only real option for foreigners, but way too expensive. Had pizza at the other restaurant, which was mediocre. I wish they had a 'Smokey Joe's' in there! 1. The hardware of resort os too old , need renew soon 2. 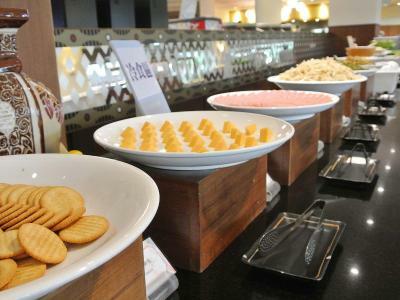 Talent need do more training in the communication with guests except lobby desk, it's not friendly in buffet room. The hotel is old and rundown. The halls smelled badly of stake cigarette smoke but luckily the rooms did not. There were lots of odd rules. you had to wear a swim cap in the deeper part of the pool but not in the kid pool which was connected? My 5 yr old wasn't allowed in the deep end without an adult in the water with her yet she swam better than the taller kids that were allowed in the deep end. the beach access was through a weird tunnel that required key access but the hotel next door access was open... the hotel didn't provide beach towels yet they are a beach hotel... the beach did not have lounge chairs provided by the hotel either. the location is great. close to the beach. The steak in the dinner buffet doesn't taste good. The juice is not the fresh juice in the breakfast and dinner buffet. The coffee machine has no chocolate milk option. Very friendly service and equipment for parents who carried the 5 month old twins. Cozy bed. Private beach is awesome! The fish soup in the dinner buffet tasted great. I was surprised that the "lounge" was not open very late, nor did it really feel much like a bar. Drink options were limited, not staffed by a knowledgable bartender, and seemed not really equipped for serving actual cocktails, though there were a few bottles on display in the cabinets behind the counter. This is a missed opportunity and a disappointment. It could be beefed up with an actual bar, an actual bartender, and actual offerings. Maybe it is during certain seasons, but the problem is there is no place to really go and "hang out" after 8pm on property. But there is a lot of construction going on, and a promised KTV bar in the works, so I imagine this will change soon. 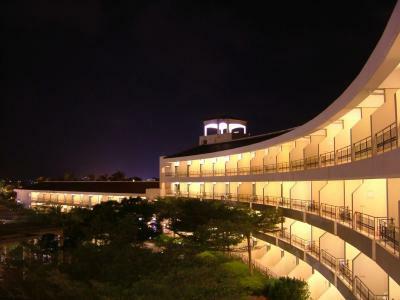 This is one of the largest - if not the largest - resort in Kenting. One reviewer likened it to a stationary cruise ship in feel, and I think that's pretty accurate. The biggest exception is that the onsite food options are really limited and not round-the-clock. 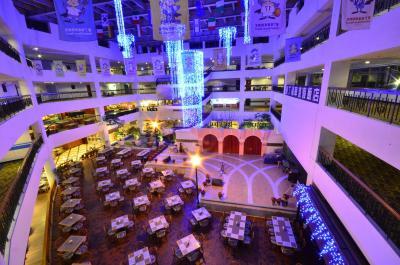 There are a few restaurants, though the largest is a buffet that operates for breakfast, lunch and dinner for a few hours each time. The food is fine - nothing spectacular, but lots of variety. The Seven Seas Lounge offers a pizza you can order when it's open. Honestly, we chose to walk into town most nights for dinner - five minutes from the entrance of the resort, and filled with great restaurants and a VERY lively night market every evening. The vibe is good, the staff is friendly, and the surroundings are really fun. Beach is accessible through a tunnel under the road. The rooms are large and spacious, and the 4th floor rooms have tall ceilings. All rooms have a balcony with great views. 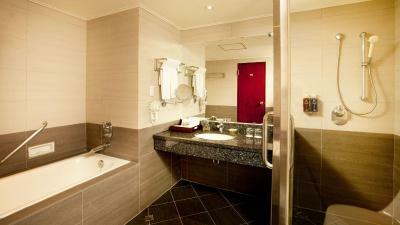 Everything is fresh and well-kept and clean, with excellent bathrooms. But if you have kids, this is the place. The pool is nice, with kiddy features, and there are a couple large playrooms. Every day, they left us a small basket of fresh fruit in our room. And the staff was really friendly, patient and helpful. Our little one loved the beach, and we spent time either there or by the pool almost every day. The breakfast and lunch buffet have minimal choices. And the gym were just placed at B1 beside the amusement center. I requested a baby bed for my 5 month girl and I got the confirmation my requested was approved and arranged. When I arrived at the hotel, the staff told me there is no more baby bed for me!!! I got a bit upset of this. Secondly, I asked for the baby bathtub. The staff said no more again and asked me to enquire the next day. What's ridiculous is that I asked my husband who is a westerner. The staff was able to provide the baby bathtub right the way! The hotel room is large. Convenient location. The parking is free of charge during your stay. There is a big swimming pool.